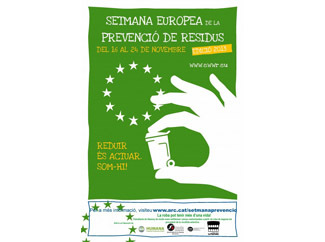 The Foundation has joined the European Week for Waste Reduction on several actions. 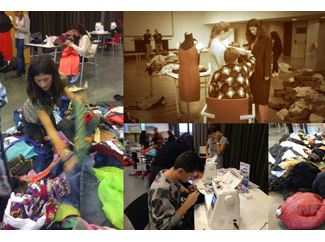 On Saturday Humana participated in "Another way to fashion", from styling and creating custom parts by design students from second-hand clothes. A group of students from design schools Fashion BAU and FD, both of Barcelona, participated in this event, held at the Espai Jove La Fontana. The purpose was to highlight the importance of waste prevention, encourage creativity in the styles, stimulate sustainable fashion creations and emphasize the importance of responsible consumption. On the other hand, Humana and Municipality of Salas have joined in the campaign 'Clothing to Salas ' which includes on Tuesday November, 19, a puppet workshop with recycled textiles, involving boys and girls 6-10 years. The Foundation also works in the call for a literary competition among youth in the Asturian town to create a play whose themes revolve around the 3R: Reduce, Reuse and Recycle. In Sax, Alicante, also planned an extraordinary campaign to collect clothes and shoes on the occasion of this week. Caprabo, one of the largest private contributors Humana in Catalonia, develops this week several actions related to the European Week for Waste Reduction, through the campaign ' A second life for your clothes and shoes ', with which you want textile recycling drive. During these days, customers of supermarkets have Humana informational flyers checkout lines. In addition, one of its establishments, Vic, hosts a photo exhibition on the social farming project we conducted in Catalonia. Furthermore, Caprabo has placed several posters at its supermarkets encouraging their customers to donate used textiles and thereby promote textile recycling and environmental protection. At the end of the week will take stock of textiles collected and will estimate the positive impact of the collection. This week aims to raise awareness of waste prevention strategies of the European Union and its member states in this area, promote sustainable actions to reduce waste across Europe, to make public the tasks performed by different actors through concrete examples waste prevention and try to modify the behavior of European citizens everyday.